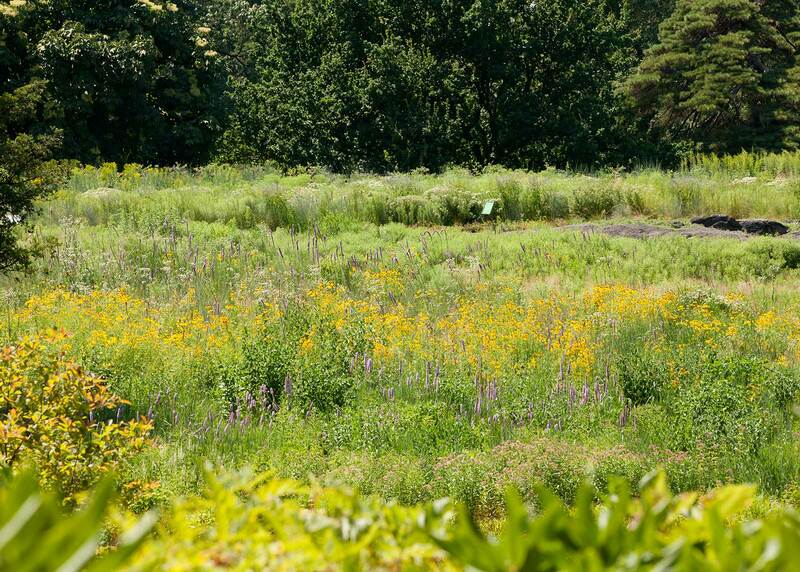 The 3.5-acre Native Plant Garden distills the essence of North America’s northeastern native landscapes and demonstrates the vital role these plants play in the ecosystem. 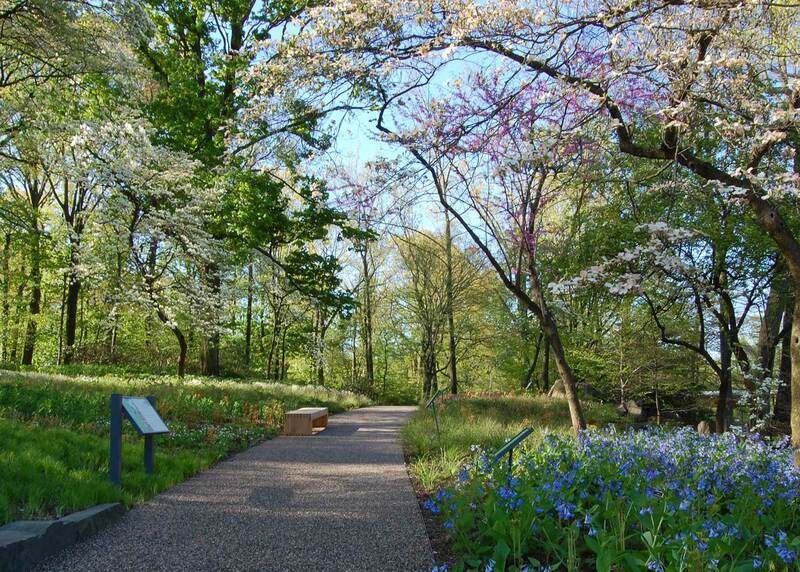 Nearly 100,000 plants drawn from 454 native Taxa populate the Garden’s multiple microclimates—shaded woodland, open meadow and wetlands. 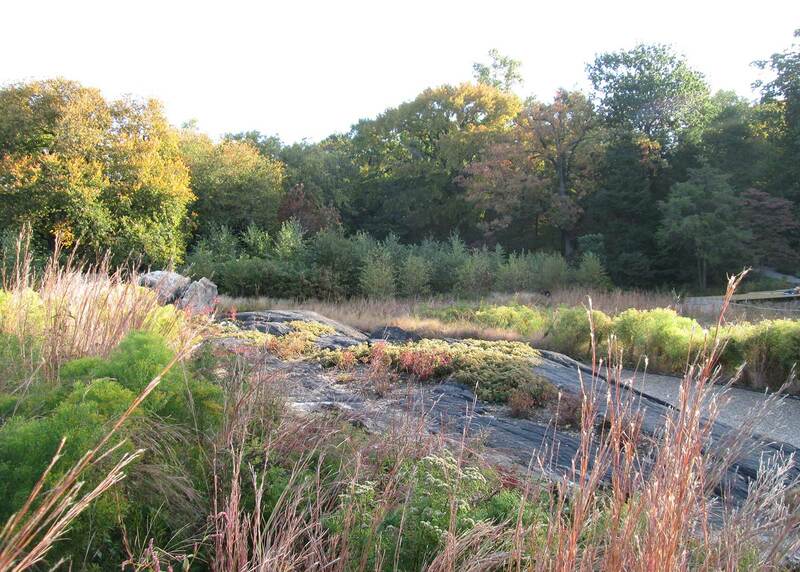 Plants were selected based on their biodiversity, sustainability, and adaptability. They offer multiple ecological benefits, including water filtration, erosion prevention, shelter for wildlife and support of the food web. In addition to their environmental value, the plants highlight the beauty and diversity of native flora throughout the four seasons. 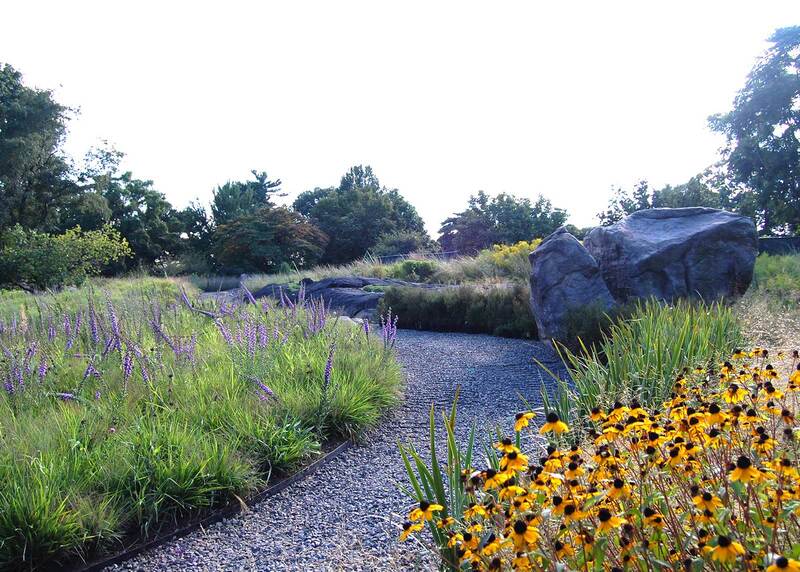 At the Garden’s center is a 230-foot-long water feature that serves as an innovative storm water management and biofiltration system. 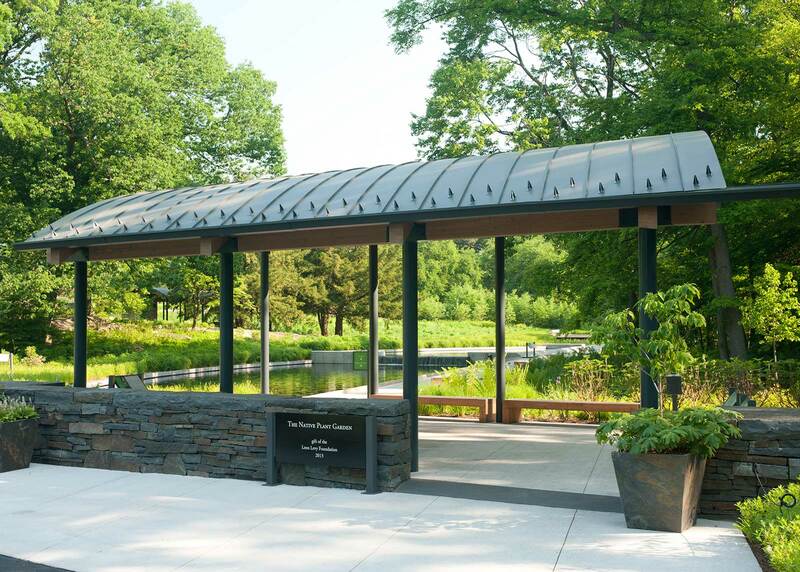 It is fed by storm water captured on-site and filtered by aquatic plants. 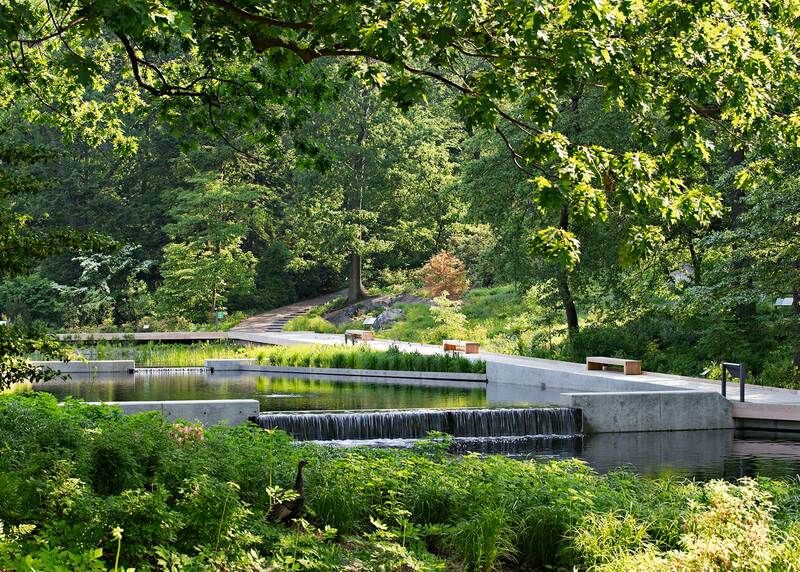 A promenade constructed of the native hardwood black locust runs along the length of the water feature. 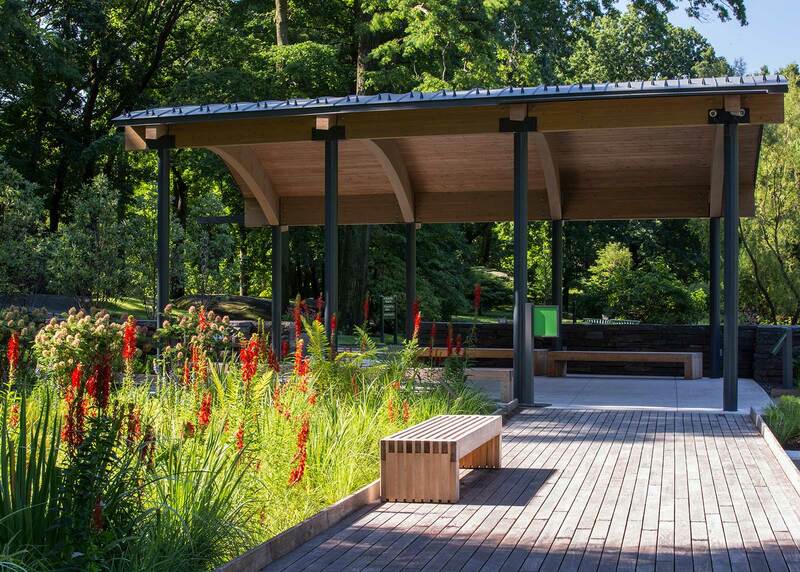 The Native Plant Garden is the most contemporary garden at The New York Botanical Garden, yet maintains an aesthetic connection to the 250-acre National Historic Landmark.